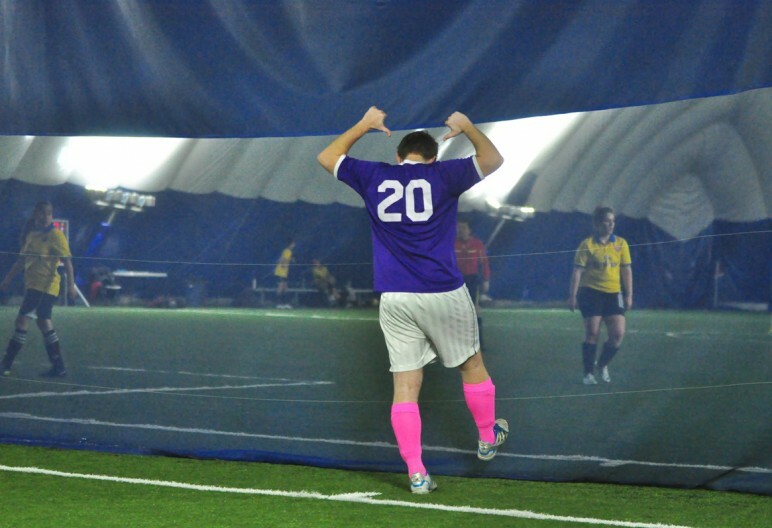 We’ve just kicked-off our 2015 indoor soccer season and wanted to give a big welcome to both our new and returning players. With over 2500 players in 170 teams over six leagues, it’s bound to be a busy, competitive, and fun season for everyone involved. We’ve compiled a list of our top 5 league rules that you didn’t know, to keep you out of trouble this season. You may have just won the league cup, and are eager to start your champagne showdown like the Jays, but you’re just going to have to wait until you leave the dome to start “poppin’ bottles”. According to facility regulations there is no alcohol allowed on the premises. However we do recommend you reach Boston Pizza at the Beaches for post game libations. Our refs are allowed to issue players a two-minute penalty for an inappropriate celebration after a goal; this is rec. league soccer, not the World Cup, We’re big on sportsmanship at Soccerworld, so you may find yourself slapped with a red card or a penalty for obscene language, swearing, or spitting. We’re all adults here; does anyone really want to be that guy or girl? Contrary to the belief of some players in our league, if you get suspended and are playing in more than one of our leagues, you are not allowed to play for any of your teams. For example, if you receive a three game suspension, the suspension will be for three weeks from all leagues at Soccerworld. Before we go there, no, you’re relationship with the G.M. will not get you out of your suspension; neither will a 10 paged e-mail on the details of your footballing history. You may be rushing from the office or just finished a workout, but there’s no reason to show up in a low-cut muscle shirt or dress shorts—in fact you will not be allowed to play if you’re not wearing the proper attire. Make sure you’re on the right team by taking a look your teammates—you should all have matching jerseys and numbers written on the backs of them. Make sure you take off your hats, jewelry, glasses, and metal or rubber cleats. The referee is within his rights to ask you to come off the field for breaching any of those rules, do not be surprised, and do not think you are receiving any special criticism. The rules are the rules.